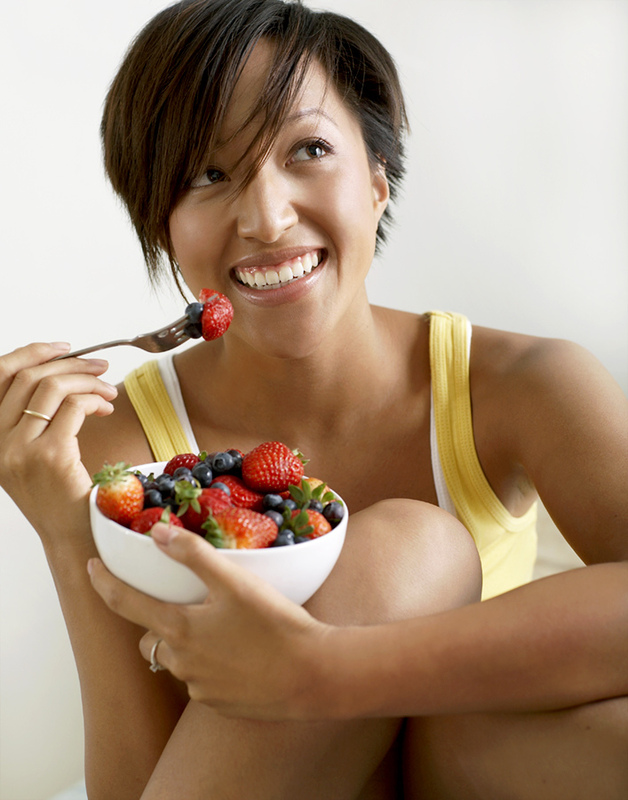 Super foods have the best nutrients for maintenance and betterment of our health. They boost our energy level and also aids weight loss. Contrary to popular opinion, slashing as many calories from your diet as possible is not the optimal way to lose weight. Instead, you should be loading your diet with whole, healthy foods that fill you up (making you less likely to go overboard on less healthy options), boost your energy so you can crush it at the gym, and provide enough calories to keep your metabolism chugging right along. Before diving into all this delicious goodness, an important note: Losing weight is different for different people. What works for your friends may not work for you, and vice versa. Apples — A low calorie diet foods packed with phytonutrients, dietary fiber and antioxidants, it prevents diseases and promotes good health. Spinach – This dark, leafy green is chock-full of so many beneficial nutrients, like iron, potassium (a helpful bloat buster), fiber, and even protein. Chia Seeds — These little seeds pack a major nutritional punch. A tablespoon contains 69 calories, largely thanks to the seeds’ heart-healthy fats, plus 5.5 grams of fiber. Blueberries — Blueberries are loaded with antioxidants, high on fiber content and they keep you full for longer hours. Flax Seeds — A tablespoon has 55 calories, 3 grams of fiber, and 4 grams of good-for-you. Watermelon — Watermelon, which gets its pretty color from the antioxidant lycopene, is a juicy, delicious way to make sure you’re staying hydrated—a key factor in weight loss for various reasons. Chickpeas — Its protein content is through the roof, with 12 grams in a single cup, along with 11 grams of filling fiber. Capsicum – because of its thermogenic properties, can aid weight loss. Dark Chocolate — Dark chocolate contains antioxidants known as flavonoids, which promote good heart health. As a bonus, an ounce of 70-85 percent cacao dark chocolate has 3 grams of fiber and 64 grams of magnesium, which supports nerve and muscle function, immune health, and bone strength. Olive Oil — The poly unsaturated fatty acids found in it can help keep the hunger pangs away and also the oleic acid in it can help break down excess fats. Cranberry Juice — Besides being high in anti-oxidants, cranberry juice is also an excellent diuretic which removes all the excess fluids from your body. This cuts down on weight gain due to fluid retention. Bananas — Bananas contain soluble fiber that helps slow digestion and keeps you feeling full for longer. Mushrooms — Mushrooms are low in calories, have virtually no fat or sugar, and are loaded with beneficial nutrients such as potassium. Eggs — This high protein and low calorie egg whites are a great breakfast option. Egg whites contain only 17 calories, which is negligible compared to other foods. Cucumber — Just have an entire cucumber to satiate your hunger. Slice them into chips and spice it up with pepper, rock salt and a dash of lemon. It is low calorie and prevents fluid retention. Since it is high on water content and has low sodium content, it is great for health.